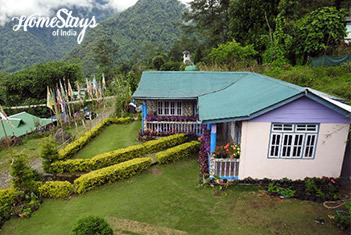 Charming and still unspoilt, Yuksom is the first capital of Sikkim, founded by three great Lamas in 1642 AD. The name literally means, “Meeting place of three monks”. It is the place where Phuntsog Namgyal, the first Chogyal (religious king) was crowned. The coronation throne and the oldest monastery of Sikkim, Dubdi Monastery is still well preserved. Being at the head of the Khangchendzonga National Park (5840 ft.) and as the base camp for trekking to Gochala and Dzongri, it has large influx of mountaineers from all over the world. People here are serious stake holders in biodiversity preservation and eco-tourism. Yuksom is thus considered a model village. 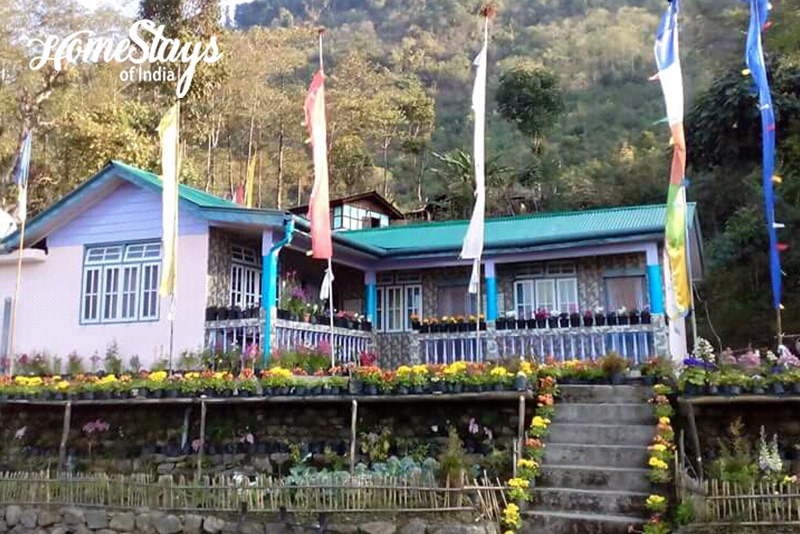 If you are looking for a real rustic homestay with a village feel in Sikkim, this hidden place is a heaven. Ensconced just outside the village, at the foothill that grows high up at the back, it’s a very peaceful place. 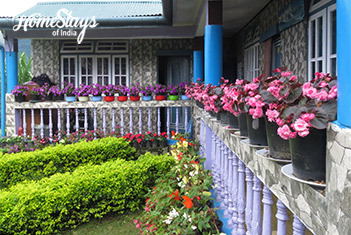 Having its own vegetable garden and trees like Poplar, Rhododendron and Arboretum around, it is so full of greenery. 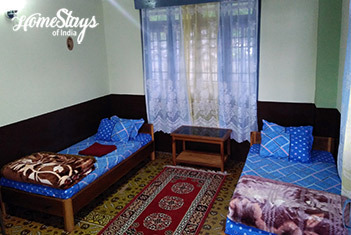 There are three guest rooms, all comes with running hot and cold water and attached toilet. 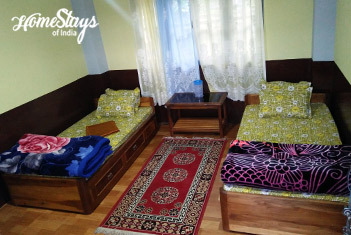 Rooms are spacious and very clean with beautiful garden outside which remain full of flowers whole year. Sherpa Chungda is a trekking and bird watching guide by profession. He loves travelling, meeting people, sharing local folk stories, love cooking and farming. 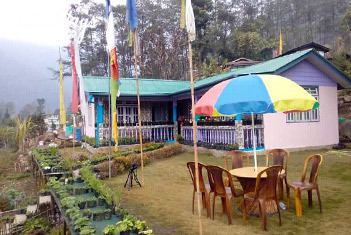 Chungda offers homemade Sikkimese organic food. 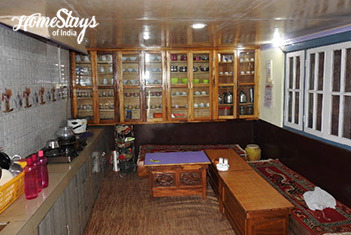 Breakfast as per guest choice like, Alu Paratha, Sikkimese style Potato Roll, Sandwich, Butter Toast, Bread Omelet, Puri Aludum, Pancake etc. Dinner would be a mix of local food and North India. Non-veg food can be served on request. You may ask for Chhang (local wine) also. Even though we stayed here briefly, just as a stop to celebrate Christmas, we had an amazing time here. Beautiful surroundings which we explored in peace and quiet, and an amazing host. The food which they served was inspirational, and amazingly well prepared. Thank you so much for making our Christmas special! !